Before he moved to the Department of Justice, Matt Whitaker was executive director of the Foundation for Accountability and Civic Trust (Fact), a conservative ethics watchdog, where he made full use of the opportunity to call for investigations of multiple Democrats. Whitaker will replace Jeff Sessions as acting attorney general, having been his chief of staff. Sessions was asked to resign by President Donald Trump, who has long been angry at Sessions for recusing himself from any inquiry into alleged Russian interference in the 2016 presidential election. 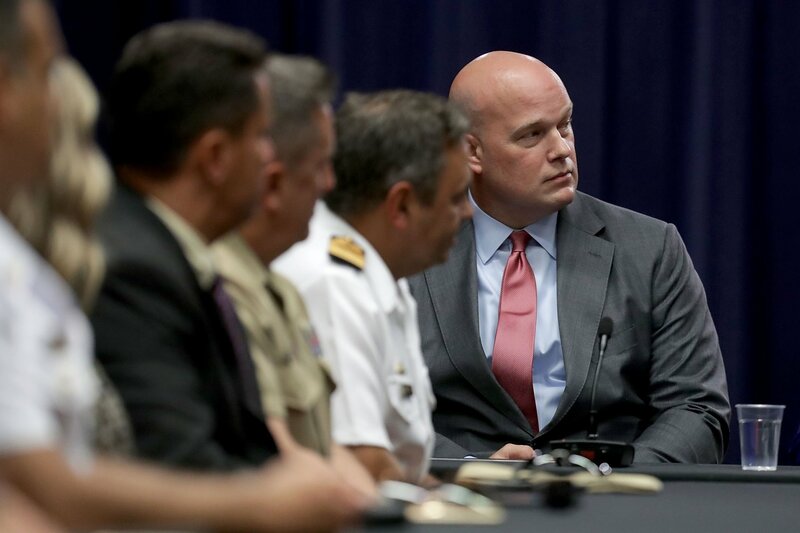 The acting attorney general is considered a Trump loyalist who, like the president, has criticized the special counsel’s Robert Mueller's probe, calling for limitations to be placed on it. The Democratic National Committee, Hillary Clinton, John Kerry,Sidney Blumenthal, Senator Mark Warner, data firm Catalist, Correct the Record PAC, NexGen Climate Action Committee, Senator Claire McCaskill, Senator Thomas Carper, House Minority Leader Nancy Pelosi, Representative Alan Grayson, Representative Patrick Murphy, Representative. Ami Bera, Representative Jarred Huffman, Representative John Lewis, Representative Ben Ray Lujan, Representative Keith Ellison, Representative Alcee Hastings, Representative Hank Johnson, Representative Debbie Wasserman Schultz, Senate candidates Joe Sestak, Katie McGinty, Patrick Murphy, Ted Strickland, Evan Bayh, Catherine Cortez Masto; House candidates Tom Nelson, Steve Santarsiero, Suzanna Shkreli, Ruben Kihuen, Jim Mowrer, Colleen Deacon, Pete Gallego, Doug Applegate, Bryan Caforio, Morgan Carroll, LuAnn Bennett, Christina Hartman, Stephanie Murphy, Michael Eggman, Mike Derrick; the Democratic Congressional Campaign Committee, Missouri Attorney General Chris Koster, Jobs and Opportunity PAC, and Representative John Lewis's Chief of Staff Michael Collins. Now Whitaker is in charge of the Justice Department—at least temporarily. Will he have the same relentless zeal for investigating Democrats as before? “He will serve our country well,” tweeted President Trump announcing Whitaker’s appointment.